Pitting Corrosion is a form of Corrosion that is so severe and localized that it can actually lead to holes or divots in a metal surface. Unfortunately once Pitting Corrosion has started, it only gets worse as the already-present defect directs incoming corrosive materials downward in a funnel-like fashion. Parts that undergo normal Corrosion can withstand some imperfections as the Corrosion is usually uniformly spread across the entire surface area. Unfortunately, Pitting Corrosion quickly causes deep structural damage to the metal that is affected. 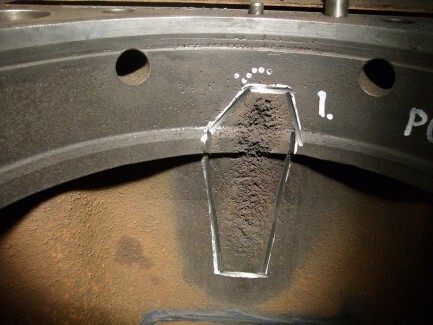 While it is extremely difficult to avoid replacing parts affected, inspection technicians can avoid catastrophic system failure by identifying the warning signs early. Videoscopes and other Inspection Cameras are usually the best way to inspect internal cavities or parts for signs of Pitting Corrosion.